These are all incredible songs. 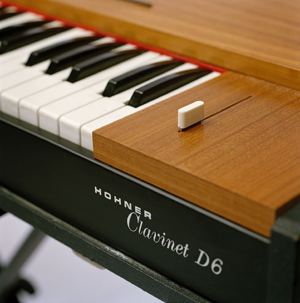 I didn’t realize that piano sound was the Clavinet. I just figured it was some prickly timbre ordinary humans don’t get to use. Also, those kids rockin’ out to “Superstition” are awesome. Trampled Under Foot is great, thanks to JPJ. Stevie Wonder often played his Clavinet through a Mu-tron III (an effect later popularized by Jerry Garcia on guitar). Some tunes have two Clav tracks, one with Mu-tron and one without. Until I finally realized this I had a lot of trouble learning the parts!